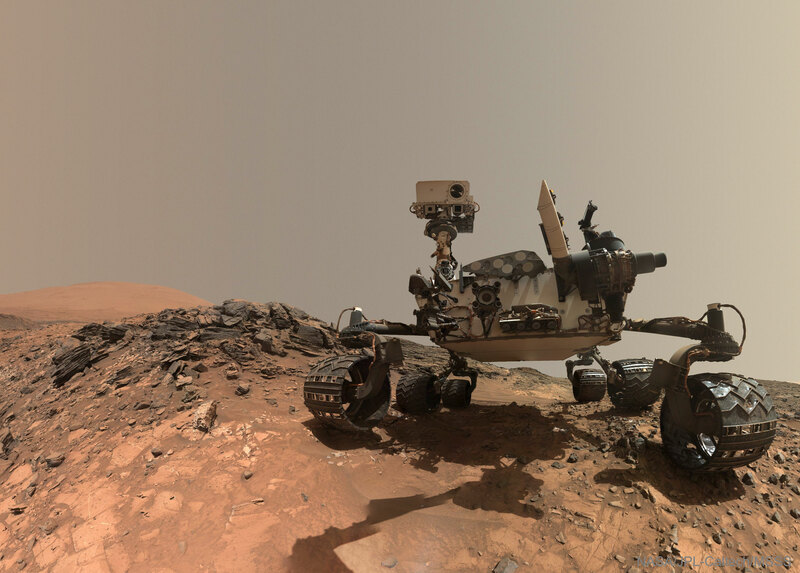 Explanation: Yes, but have you ever taken a selfie on Mars? The Curiosity rover on Mars has. This selfie was compiled from many smaller images -- which is why the mechanical arm holding the camera is not visible. (Although its shadow is!) Taken in mid-2015, the featured image shows not only the adventurous rover, but dark layered rocks, the light colored peak of Mount Sharp, and the rusting red sand that pervades Mars. If you look closely, you can even see that a small rock is stuck into one of Curiosity's aging wheels. Now nearing the end of 2017, Curiosity continues to explore the layers of sedimentary rocks it has discovered on Vera Rubin Ridge in order to better understand, generally, the ancient geologic history of Mars and, specifically, why these types of rocks exist there.